Up to 10x faster than traditional hosting! What is Fast SSD Hosting? Sometimes fast isn’t enough! Fast SSD Hosting will allow you to get close to dedicated server performance at a fraction of the cost and without the hassle. Our fast SSD hosting fills the gap between traditional shared hosting performance and VPS/dedicated servers. Hostdeko has the fastest hosting because all your files are placed on blazing fast SSD’s. We use the latest in SSD storage technology. All our Fast SSD Hosting your hosting plan get equipped with a shared OpCache. This OpCache uses expensive RAM memory to automatically cache the result of your php files. If that wasn’t enough Hostdeko dedicates more resources to fewer users. That is why your website will load faster when hosted by Hostdeko! If you need even more performance then we recommend you take a look at our Pro plans. Upgrade to Pro servers available when ordering! No file permission hassle, it just works! Order Fast SSD Hosting today! Upgrade your plan at any time! Serverside ram caching greatly reduces pageloads for php files. Zero configuration required! 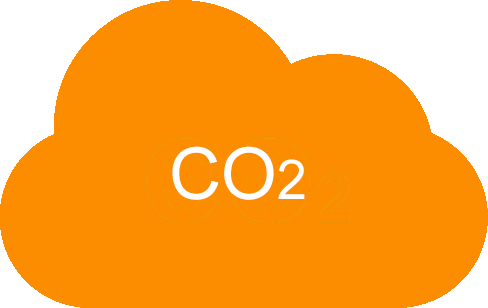 Our datacenter is CO2 neutral! We use SSD’s and plenty of ram for fast page loads. Combine fast page loads with fewer users per ip and you get higher pageranks! Our properly configured servers allow you to update without running into file permission errors. Powerful but user friendly control panel. 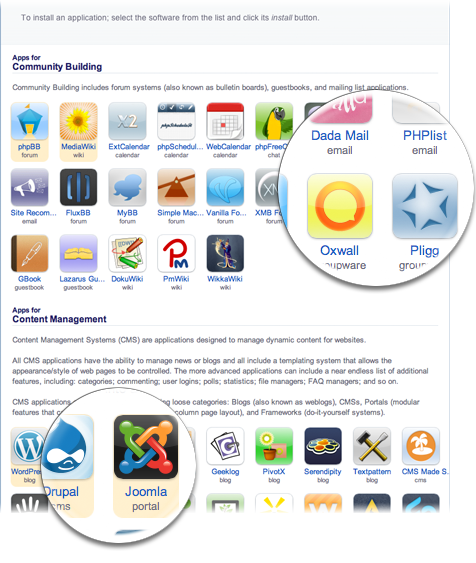 One-click install of WordPress, Joomla, Phpbb and hundreds of other web apps! An average website can process 1000 monthly visitors with 1 GB of traffic. Therefore you can expect our standard plan with 25 GB to handle 25.000 visitors monthly. Your hosting plan will run on the latest PHP 5.6 and PHP 7.0! With MySQL 5.5.x you can run forums, WordPress, Joomla, Drupal, and so much more! Always reach your plan on the temporary domain based on the server IP and your account name. Create email accounts to send and receive email on your domain! Feel free to setup auto-response, email forwarders or mailing lists. SpamAssasin is enabled by default! Create your own Cronjobs for automation. Hostdeko offers cheap domain registration! 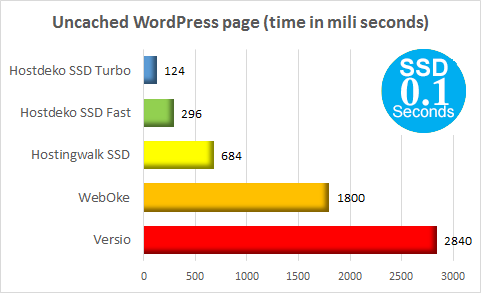 At Hostdeko we have noticed that websites hosted on our servers load significantly faster! This test installed a regular WordPress blog with the Divi theme. The latency was tested once every 2 hours. This simulates a “worst” case scenario where you have not had any visitors for a while. This will force the server to grab your website from the storage instead of ram. At Hostdeko we care about the environment. That’s why we use power efficient and CO2 neutral data centers. Their power usage effectiveness (PUE) is below 1.2, which is best in class. In addition to our environmental friendly data centers we use power saving technologies such as virtualization and SSD’s. Most web hosting companies focus on cost. 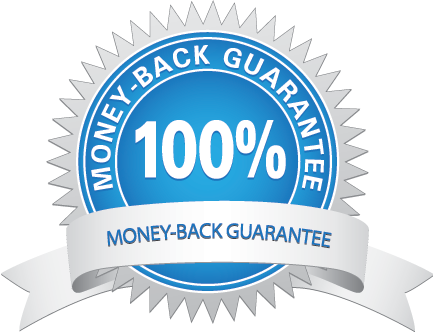 They of offer cheap, cheaper or the even the cheapest ‘unlimited’ hosting. At Hostdeko we focus on speed rather than costs! After all what is the point of having a cheap website when no one likes to visit it and your conversions are low. This is how we try to accomplish that. Press the WordPress update button and it will just work! At hostdeko we use virtualization technology that ensures the website gets accessed by your username. Therefore write permissions at the user level are sufficient. At Hostdeko you never have to worry about file permissions! Every file on your hosting account has a flag that determines who can read, write and execute your files. There are levels for user, group and everyone. Generally your website will retrieve a file through the user ‘apache’, which is the name of the server software. Unfortunately the file often is owned by your username. Now apache is neither user nor group which makes it “everyone”. Therefore the website itself is not allowed to write to a folder unless you make it writable for “everyone”. 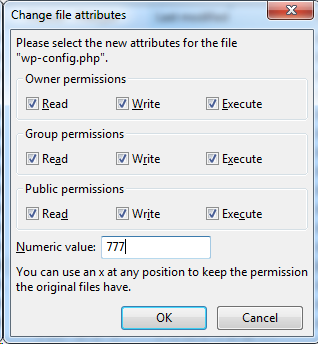 This forces you to use insecure 777 permissions (read,write, execute for everyone) when running into issues. For example when trying to update WordPress, Joomla or any other CMS. 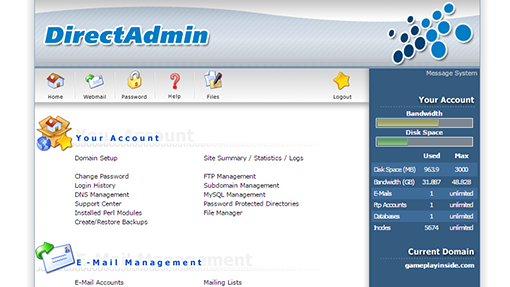 DirectAdmin is a powerful, but user friendly, control panel. It provides a ton of functionality, all available within a few clicks in your favorite browser. For example you can create and restore backups, use a file manager, create MySQL databases and much more. It also provides easy email management. You can use it to setup email accounts, email forwarding, vacation messages, and autoresponders. Installatron is a plugin on your DirectAdmin interface. It provides a ton of functionality. You can one-click install blogs, photo galleries, forms, shops and other web applications. All of these will be transferred directly from the server so you no longer have to upload thousands of files. It also allows you to manage backups and update your installations. You can even get email notifactions on important events such as avaiable updates.